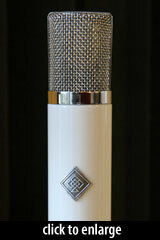 Blackspade is a new company with a small but growing line of mid- and high-end microphones. The company is a joint venture between Blackspade proper in Switzerland and AMI, Inc here in the US. The Blackspade Acoustics UM25 that I’ve had the pleasure of using and reviewing is one of two C12/ELA M251-style mics the company is currently selling. AMI’s Oliver Archut (also the man behind TAB Funkenwerk) provides the output transformer and modifies the Asian-made CK25 capsule and power supply for the UM25. Assembly and testing of the mic also happens at AMI’s Kansas headquarters. 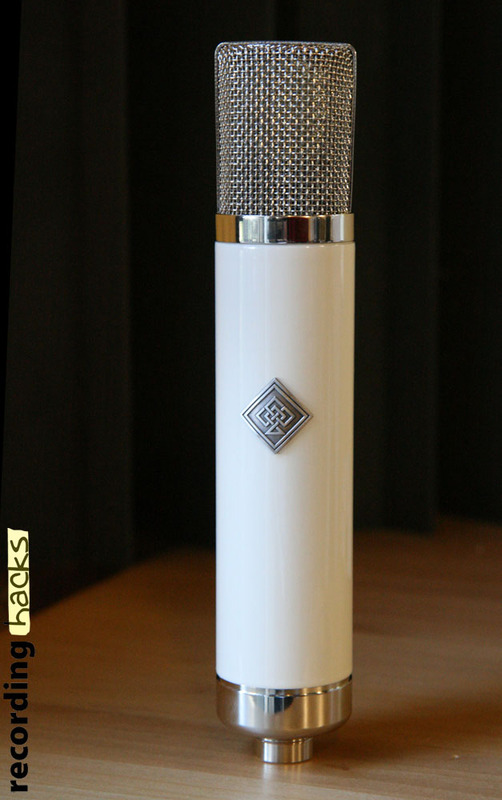 The other UM25 is distinguished by the “C” suffix and has a capsule made by Tim Campbell in Denmark — both mics share the same NOS Telefunken tubes, plexiglass circuit board with point-to-point wiring, and external body/grille. Patterns are switchable on the power supply from omni to figure-8 to cardioid. There are no pads or filters on the mic. 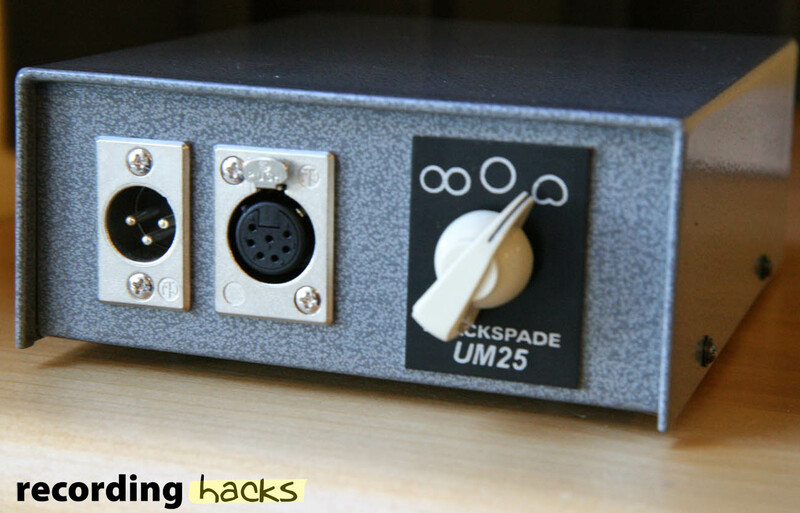 Without entirely giving away the ending to this review, if the UM25C is even better than the UM25 due to the Campbell CT12 capsule and a beefier AMI-made power supply, then these guys have some amazing mics on offer. I’ve used my fair share of vintage C12s and 251s at various studios here in Seattle and at Blackbird in Nashville (where they have C12 serial number 0001!) so I’m familiar with the general tone of the mics the Blackspade is hoping to emulate. Sonically, the UM25s are coming quite close, indeed, while also giving their mics the reliability of a modern build and a much more affordable price tag (251s in good condition can easily fetch more than $10k). In the time I had the UM25 in my studio I was able to use it on male and female vocals, male voiceover, acoustic guitar, front-of-kit/close drum room, and as a mono overhead. 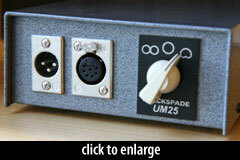 On voices, both male and female, the UM25 was one of the more flattering mics I’ve used. There’s a slight proximity effect when in cardioid, but even right up on the grille, the mic never became too boomy. The capsule is rather sensitive to plosives, so I usually tried positioning it above the performer’s mouth, angled down, to avoid having to use a pop-filter. The best way to describe the sound of this mic on voices is “smooth and natural” — like there wasn’t a microphone being used, but instead I was just hearing the voice in the room. The low-end and low-mids where many mics are either shy and sound thin or too full and come across as boxy, were always lovely and un-exaggerated. There’s a gentle lift in the top end that was never shrill and didn’t allow sibilance to get unruly, even on vocalists that have exhibited this issue in the past in my studio with other microphones. 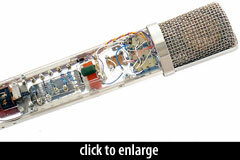 The qualities that made the mic uniformly excellent on vocals also worked in its favor on acoustic guitar. In cardioid, about 12 inches from the body and on a line from the neck/body intersection, the guitar was full, bright, and again, “natural.” Switching to omni, moving a bit closer to the body and more directly in front of the soundhole (with a negligible proximity effect in omni, the pressure of air from the hole doesn’t create a LF “boom” as it would in cardioid), the UM25 perfectly captured the tone of the guitar (a 50 year old, small-bodied Martin) with the kind of transient response I generally expect from small-diaphragm mics as well as the smooth, full sound of the large capsule. As an overhead mic, the UM25 was excellent at capturing the crack of the snare along with the body of the toms and my Istanbul cymbals maintained all of the smoky, dark tone that I love so much. As an experiment, I also placed one of my Mojave MA-200 tube LDCs up next to the UM25, matched their levels and A/B’d them; the results were almost too close to call, although the Blackspade just edged out the Mojave in the airiness of the top-end. 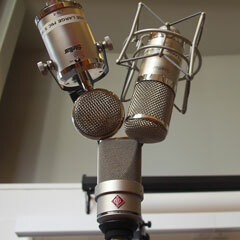 The MA200 is cardioid-only, so it’s a more limited mic, but I was happy to see it hang so well with the UM25. I also placed the UM25 about 5′ in front of my kit where I like to sometimes have a mono “kit mic” to grab an overall picture of the drums; putting a mic here just at the height of the top of the kick drum tends to get a good balance of lows from the bass drum and bottom of the toms, plus the snare and enough cymbals without getting overwhelmed by the top end. Unfortunately, this was the one place I found I didn’t like the UM25; I don’t know if it was more SPL than the capsule or the circuit could handle, but the sound seemed to bottom out and break up. Certainly not the end of the world as there are plenty of mics that do work well in that position, and if this was my mic, I’d be using it somewhere else anyway (and if I had a pair of them, they’d be over my drums for every recording!). A few little niggles popped up while I had the mic, none that were related to the sonics of the UM25, but still worth mentioning. The power supply arrived with a loose wire from the transformer, so the mic didn’t work at all until I fixed that. The shockmount that was included with the review mic left a bit to be desired due to it bumping and potentially loosening the badge, as well as gripping the mic almost too tightly (forcing one to really squeeze it into place) — but Blackspade has since upgraded the UM25 to include a custom shockmount from Rycote, which should fully eliminate all of these issues. 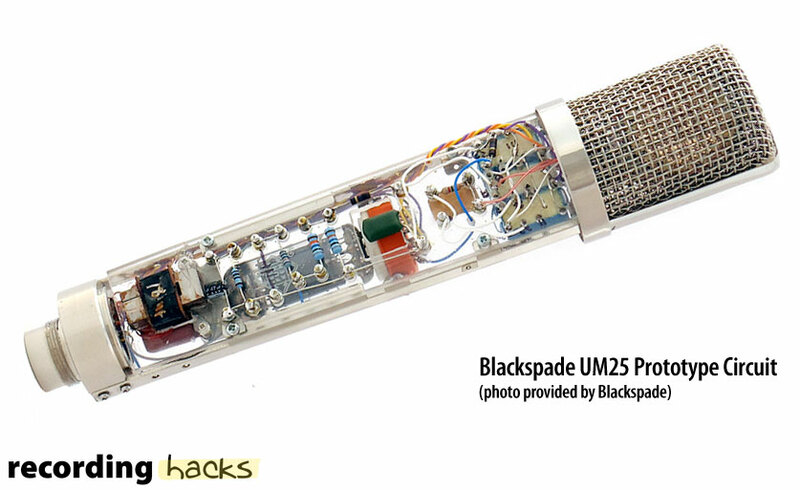 Brand-new company or not, Blackspade is a force to be reckoned with; having the opportunity to use and really enjoy the results of the UM25 in so many situations makes me also want to try their UM25C with the Tim Campbell capsule as well as their UM17/UM17R (an M49-style mic). Keep an eye on these guys and try one out at the peril of your pocketbook!